When I was twenty or so and living in Israel, I made a valiant attempt to plow my way through the classic 1949 Hebrew novella, Khirbet Khizeh by S. Yizhar. Alas, there was only so much a young American college student could really understand, but I persevered because I was just so eager to experience this seemingly radical counter-cultural work of Israeli literature. 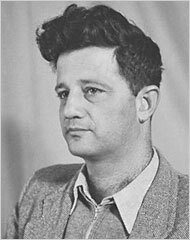 Khirbet Khizeh, which painfully portrays an Israeli unit’s expulsion of Palestinian villagers from their homes in 1948, has long been considered a seminal work in modern Israeli literature, fusing stream of consciousness style Hebrew with poetic Biblical literary allusions. Even more remarkable is the fact that despite its profoundly controversial subject matter, Khirbet Khizeh has generally been accepted as a classic by Israelis. Indeed, the book has long been included in Israeli high school curriculum and the the author himself went on to enjoy a long and distinguished career as a member of the Knesset. So imagine my pleasant surprise to learn that almost thirty years later, the great Khirbet Khizeh has finally been published in English translation by a boutique press called Ibis Editions. And I must say that having just now finished it, I am all the more moved by its literary power and moral urgency. When they reached their place of exile night would already have fallen. Their clothing would be their only bedding. Fine. What could be done? The third truck began to rumble. Had some astrologer already seen in the conjuncture of the stars in the sky over the village or in some horoscope how things would turn out here? And what indifference there was in us, as if we had never been anything but peddlers of exile, and our hearts had coarsened in the process. But this was not the point either. The valley was calm. Somebody started talking about supper. Far away on this dirt track, close to what appeared to be its end, a distant, darkening swaying truck, in the manner of heavy trucks laden with fruit or produce or something, was gradually being swallowed up. Tomorrow, both painful humiliation and helpless rage would turn into a kind of casual irritation, shameful, but fading fast. Everything was suddenly so open. So big, so very big. And we had all become so small and insignificant. Soon a time would arise in the world when it would be good to come home from work, to return exhausted, to meet someone, or walk alone, to walk saying nothing. All around silence was falling, and very soon it would close upon the last circle. And when silence had closed in on everything and no man disturbed the stillness, which yearned noiselessly for what was beyond stillness – then God would come forth and descend to roam the valley, and see whether all was according to the cry that had reached him. I am particularly taken by Yizhar’s reference to silence – and how he subverts it with a final allusion to the anguished cries of Sodom and Gomorrah. Yizhar, who himself fought in the 1948 war as an intelligence officer, was already able to articulate a deep dark silence descending upon the land in the aftermath of those deep, dark days. Now over sixty years after the terrible events recorded in this novella, it seems that this silence has only deepened all the more. I interpret his comment to mean that as the victorious party, Israel could certainly allow itself a bit of angst over how its victory was achieved. In this regard, you could well draw a straight line from Khirbet Khizeh to the deep moral challenges represented in works of contemporary Israeli writers such as Amos Oz or David Grossman, or films such as Waltz with Bashir or the just-released Lebanon. In fact, the Hebrew term “shoot and cry” (“yorim u’vochim“) was actually coined in the wake of the 1982 Lebanon war to describe this unique form of Israeli cultural angst, as if these powerful expressions of moral accounting could somehow erase the guilt of what Israel had perpetrated – and continues to perpetrate – against Palestinians. And so in the end, despite all of the genuinely anguished soul-searching, we are still left with the terrifying silence. But ironically enough, whatever the statement Yizhar was intending to make with Khirbet Khizeh, whatever its literary/cultural legacy, I find that it still cries out with unbearable intensity. This entry was posted in Books, Israel, Lebanon, Palestine on August 10, 2010 by Rabbi Brant Rosen. I had not heard of this book at all. Thank you for bringing it into the light of day. It looks like this English edition was published in 2008. It’s available on Amazon for $15.25, and at a handful of university libraries including Northwestern, Depaul, Loyola, U of Chicago and U of Il.And of course any of us librarians would be happy to interlibrary loan it! I feel your same anguish at the outcomes of war, but that cannot mean Israel will not claim the right to exist by the ultimate means: war. You are correct: historically speaking, when it comes to any state’s “right to exist,” might makes right. That’s Nationalism 101. I think it’s important to remember the historical context of ’48–not just in Palestine / Israel, but around the world. There were massive displacements and forced exiles going on in Europe (Germans from Silesia, for example) and in the subcontinent (partition of India & Pakistan). The millions of dead in WW2 were fresh in mind, including the tens of thousands killed at a stroke through aerial bombing. It doesn’t surprise me that Israeli culture would find a place for a book like this, given that context. The evils of the war were unexceptional at the time–and to be able to congratulate oneself on one’s moral anguish while still retaining the fruits of victory…well, that’s a tempting mix, then and now. By the way, Ibis Editions (based in Jerusalem) isn’t just any boutique press: it’s an incredible resource for Levantine lit–the whole coastal crescent from Egypt up through Lebanon–in superb English translations. Ibn ‘Arabi, too. “Shoot and cry” – shamelessly self-indulgent.